The Defence Minister replied to a question in the Upper House by informing that improvements were made towards dietary and clothing needs of jawans, under the Army Act. NEW DELHI: With series of cases of jawans using social media route to raise their issues, the defence ministry in Parliament said that a system already exists and it not desirable for armed forces personnel to indulge in such act. Manohar Parrikar, who was missing from action in the national capital, as he was busy in Goa state polls, also came under the Opposition attack in the Rajya Sabha for his statements on the surgical strike, India's nuclear doctrine and other issues and sought his explanation on the issue. 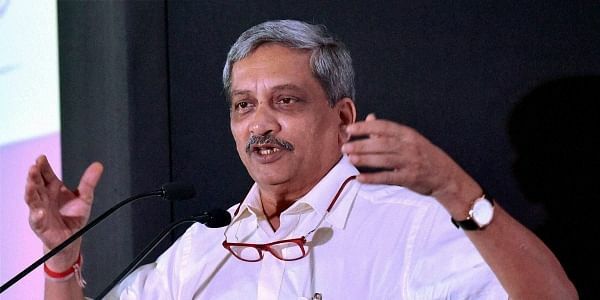 Parrikar replied to a question in the Upper House by informing that improvements were made towards dietary and clothing needs of jawans, under the Army Act. Parrikar also maintained that in the case of a problem, the Chief of Army Staff has also been provided with a mechanism of redressal and even the Defence Minister could be approached and Grievance Boxes have also been placed at various places. “Complaints should come through proper channel and “we will redress it,” Parrikar said. During the Question Hour, members raised the issue of a BSF jawan who had complained of diet in a social media post. One of the members asked Parrikar that though BSF fell under the Home Ministry, how would he view if Army jawans too aired their problems through the social media. Parrikar also said that the government has improved the dietary provisions for soldiers and there has been an increase in the scale of meat, chicken for JCOs and authorisation of chilled, frozen meat as basic ration. Parrikar also said that extension of special ration available for those posted in Siachen Glacier to troops across the country anywhere above 12,000 feet has also been undertaken. “The number of eggs provided in the diet per person has been increased from one to two”, Parrikar further said. Large-scale procurement of bullet-proof jackets and helmets has also been undertaken as were rifles and other equipment. More than a lakh bullet-proof jackets would be procured by the end of 2017, he said. While raising the issue, Congress member Shantaram Naik said Parrikar, in one statement, had given credit to the Rashtriya Swayamsevak Sangh (RSS) ideology for the surgical strikes instead of the brave soldiers, while in another statement he had said that India had never carried out before the one conducted last year. Citing certain examples, Naik said the Defence Minister "falsely claims that India never conducted surgical strikes in the past".